By Wendy in Languages on 03/11/2014 . I enjoyed reading this story again. It was ‘unexpected’. I had forgotten the story completely! Hello Wendy. 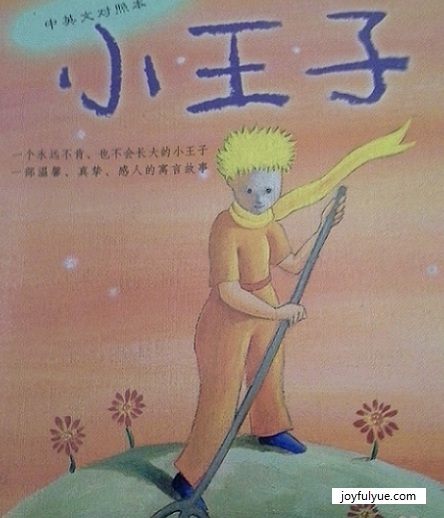 I think I have read The Little Prince, but I’m not really sure. In my mind, I associate it with learning French so I presume it was a French reader in high school. In that year, I also wrote to a French penpal who didn’t write English. It was a good way to learn the language, but I’ve forgotten it now, of course. 😀 Anyway, I must give it another look. Yes, please give it another look. I find the book special because I have never thought of associating “sad” to a prince. My friend has actually done reading the French version because of her love for The Little Prince.